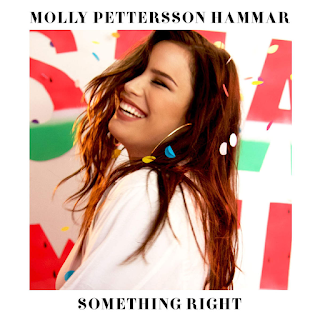 Our favourite new Swed-pop diva, Molly Pettersson Hammar is back with a vengeance following her falling out of Melodifestivalen 2015 in the show's biggest scandal of the year (a voting app glitch saw her being knocked out of the contest in the first round of voting). 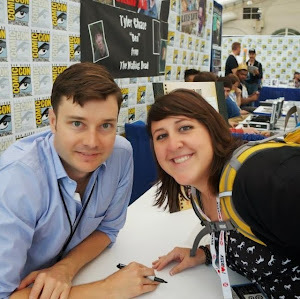 But just as we predicted, Molly P H is fine and dandy. Her new single, "Something Right," is right in the same soul-pop genre as her debut single, "I'll Be Fine," indicating that Molly P H has something that even Swed-pop artists with 10x more experience than her have yet to find: a clear musical and artistic identity. Despite being a mere 19 years old, Molly has strong signatures in place, including killer vocals, an ever-present smile, and a more vibrant attitude than anyone else currently making waves in the Swed-pop industry. Are the more seasoned Swed-pop artists worried? We reckon they should be; this girl has what it takes to make a run for the throne. Yet another thing Molly P H has done right is have a music video to accompany her single (we'll stop moaning about Swed-pop artists releasing singles without music videos when they put a stop to that ghastly habit). Like a pro, Molly P H has some product placement to afford her the luxury of putting the video together, courtesy of Polaroid, and then Molly's off! With a fruity-themed room including pineapple walls and watermelon pillows, Molly dons a few outfits and her stick-in-the-mud friends only sign off on her final outfit, despite her looking perfectly lovely in all of her wardrobe ensembles (upgrade your squad, girl!) Then it's off to the city to start a spontaneous dance party with some unsuspecting Swedes. Follow this up with some cake in the face while maintaining smouldering eye contact with the camera, belting on a lollipop microphone, and shameless dancing on a party-bus and even on the top of the bus itself. Watch out world, Molly P H is taking numbers! This video exemplifies that Molly P H is unapologetically herself and despite only having just begun her career, she's doing far more than just 'something right'.